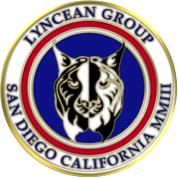 The firm Orbital ATK (formerly Orbital Sciences Corporation) was the first to develop a commercial, air-launched rocket capable of placing payloads into Earth orbit. 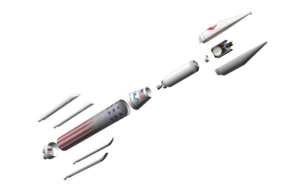 Initial tests of their modest-size Pegasus launch vehicle were made in 1990 from the NASA B-52 that previously had been used as the “mothership” for the X-15 experimental manned space plane and many other experimental vehicles. 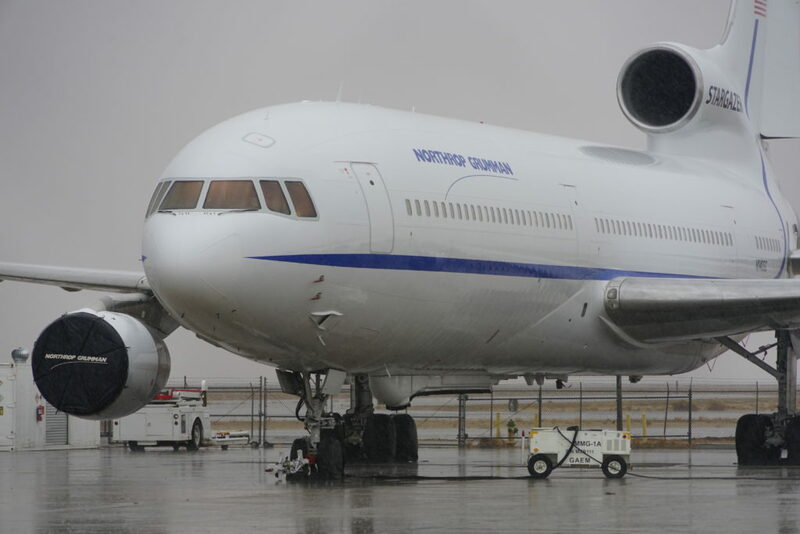 Since 1994, Orbital ATK has been using a specially modified civilian Lockheed L-1011 TriStar, a former airliner renamed Stargazer, as a mothership to carry a Pegasus launch vehicle to high altitude, where the rocket is released to fly a variety of missions, including carrying satellites into orbit. 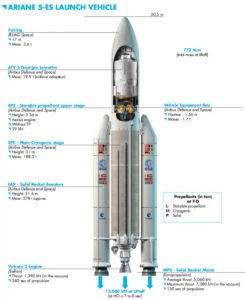 With a Pegasus XL as its payload (launch vehicle + satellite), Stargazer is lifting up to 23,130 kg (50,990 pounds) to a launch point at an altitude of about 12.2 km (40,000 feet). 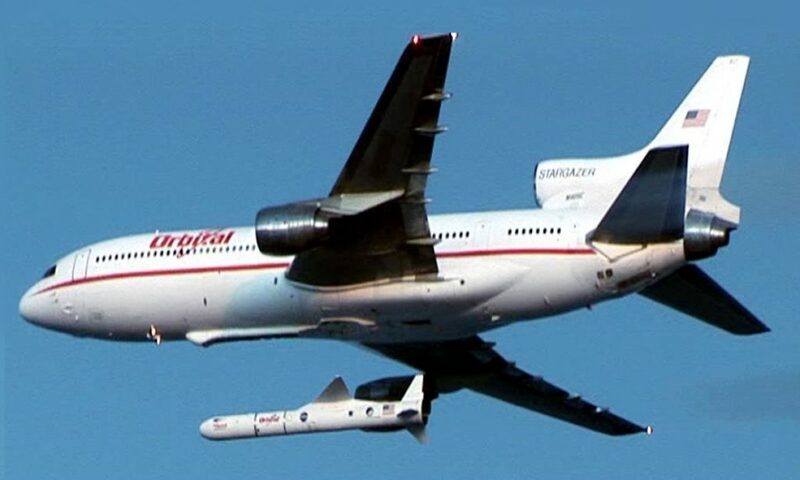 Orbital ATK’s Pegasus XL rocket released from Stargazer. 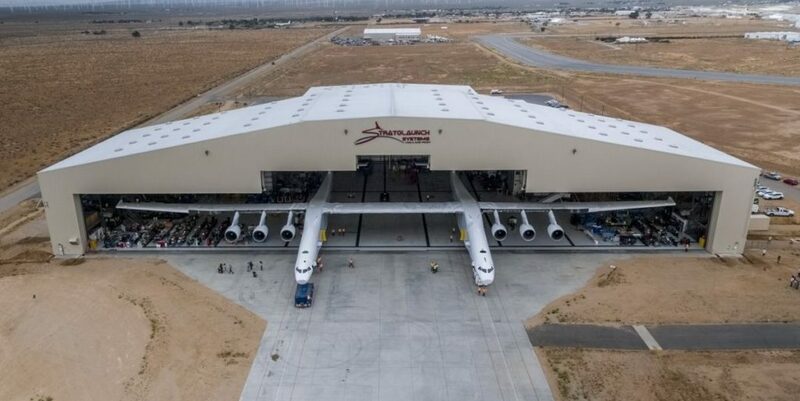 Paul Allen’s firm Stratolaunch Systems Corporation (https://www.stratolaunch.com) was founded in 2011 to take this air-launch concept to a new level with their giant, twin-fuselage, six-engine Stratolaunch carrier aircraft. 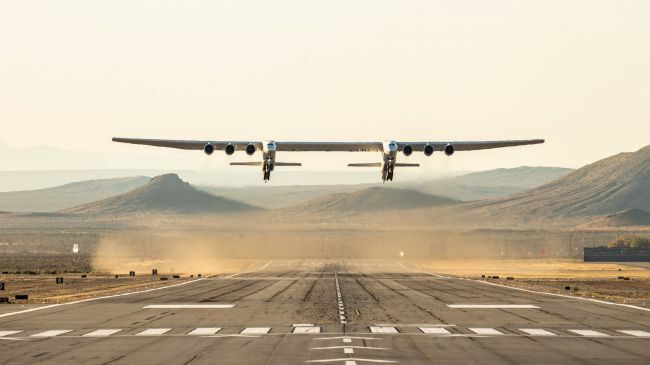 The aircraft has a wingspan of 385 feet (117 m), which is the greatest of any aircraft ever built, a length of 238 feet (72.5 m), and a height of 50 feet (15.2 m) to the top of the vertical tails. 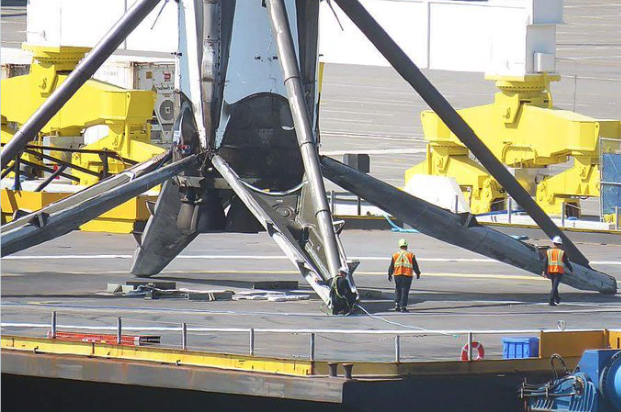 The empty weight of the aircraft is about 500,000 pounds (226,796 kg). 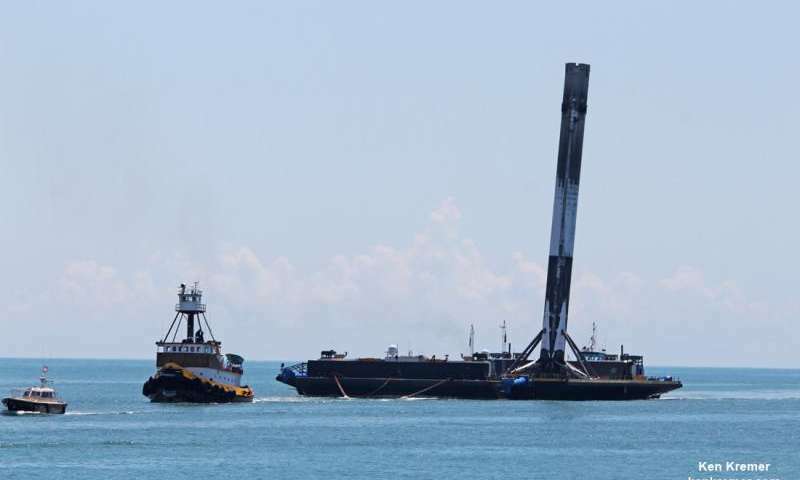 It is designed for a maximum takeoff weight of 1,300,000 pounds (589,670 kg), leaving about 550,000 pounds (249,486 kg) for its payload and the balance for fuel and crew. 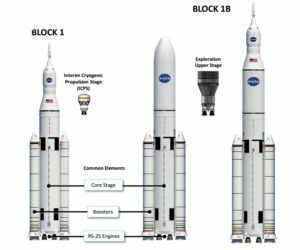 It will be able to carry multiple launch vehicles on a single mission to a launch point at an altitude of about 35,000 feet (10,700 m). 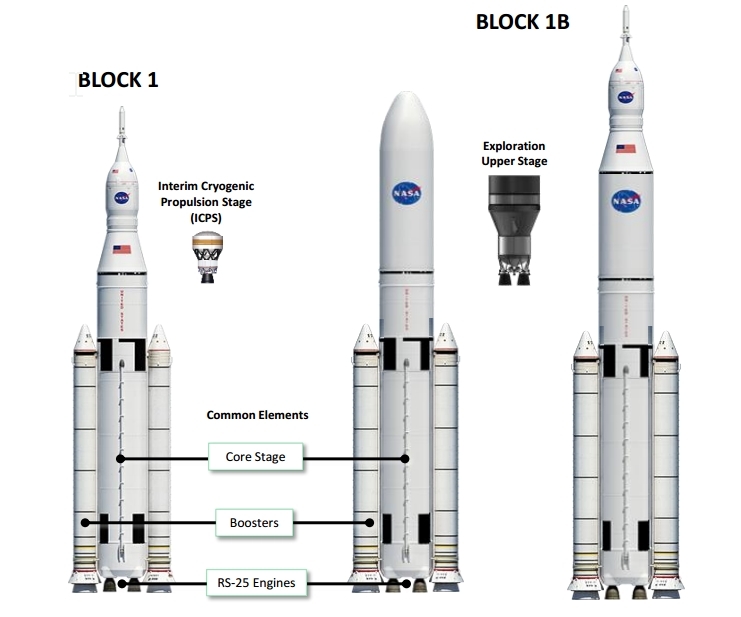 A mission profile for the Stratolaunch aircraft is shown in the following diagram. 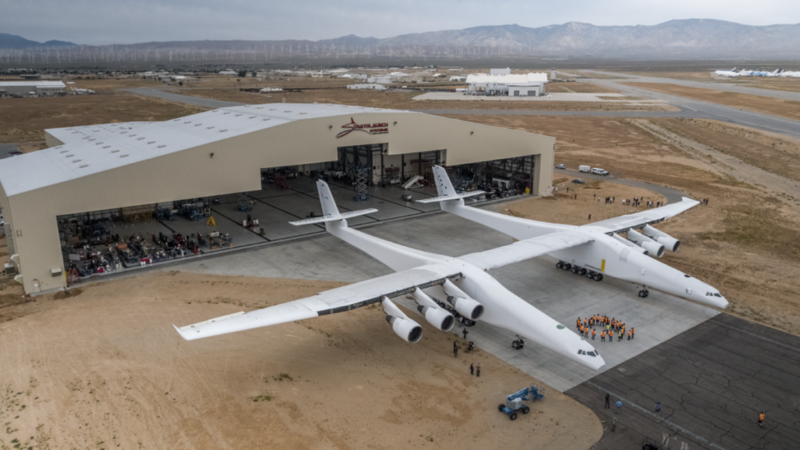 Built by Scaled Composites, the Stratolaunch aircraft was unveiled on 31 May 2017 when it was rolled out at the Mojave Air and Space Port in Mojave, CA. 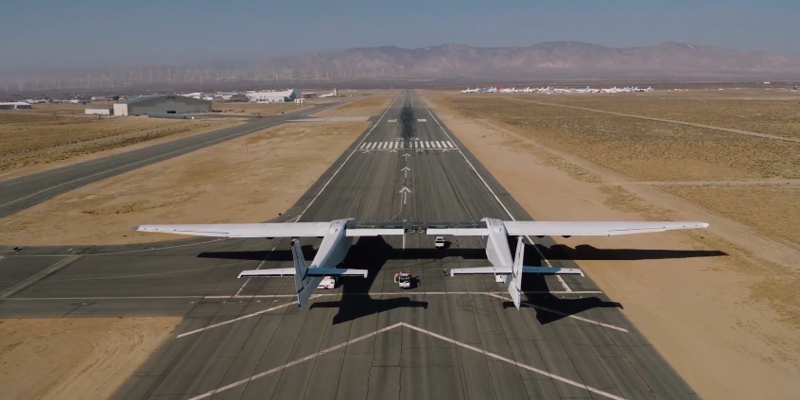 Following is a series of photos from Stratolaunch Systems showing the rollout. Ground testing of the aircraft systems started after rollout. 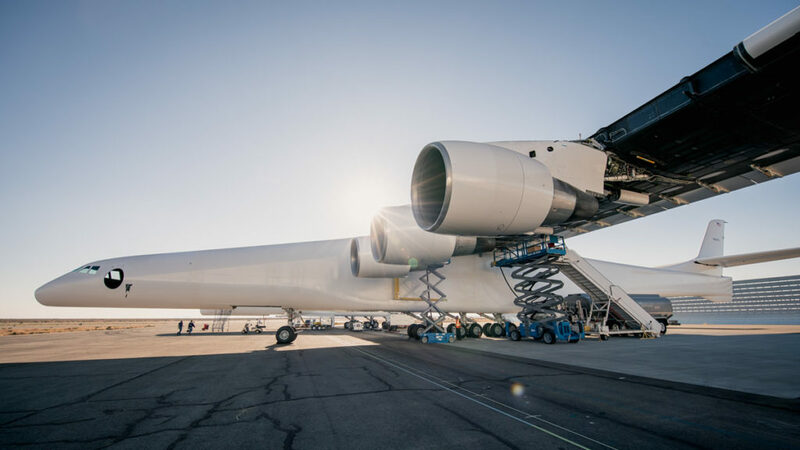 By mid-September 2017, the first phase of engine testing was completed, with all six Pratt & Whitney PW4000 turbofan engines operating for the first time. The first low-speed ground tests conducted in December 2017 reached a modest speed of 25 knot (46 kph). By January 2019, the high-speed taxi tests had reached a speed of about 119 knots (220 kph) with the nose wheel was off the runway, almost ready for lift off. 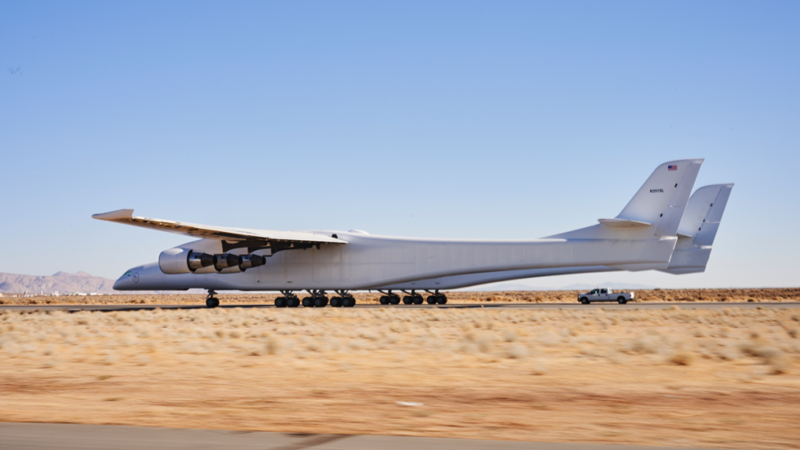 Following is a series of photos from Stratolaunch Systems showing the taxi tests. 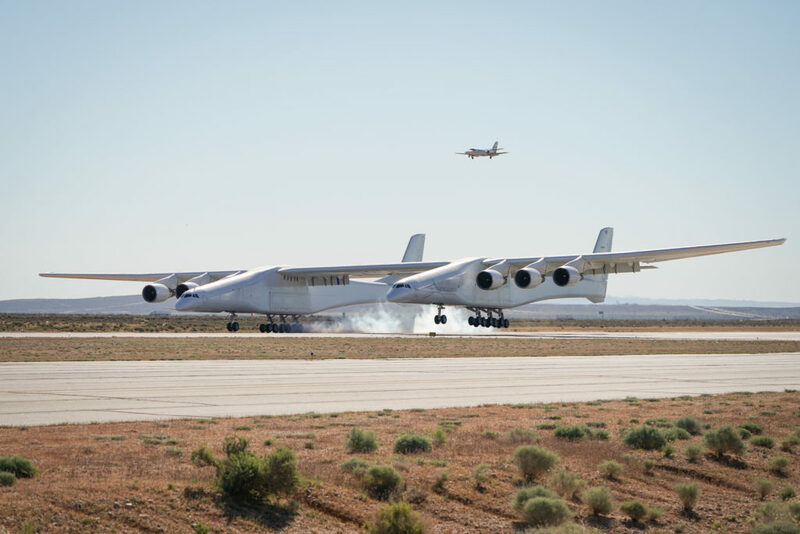 The Stratolaunch aircraft, named Roc, made an unannounced first flight from the Mojave Air & Space Port on 13 April 2019. The aircraft stayed aloft for 2.5 hours, reached a peak altitude of 17,000 feet (5,180 m) and a top speed of 189 mph (304 kph). 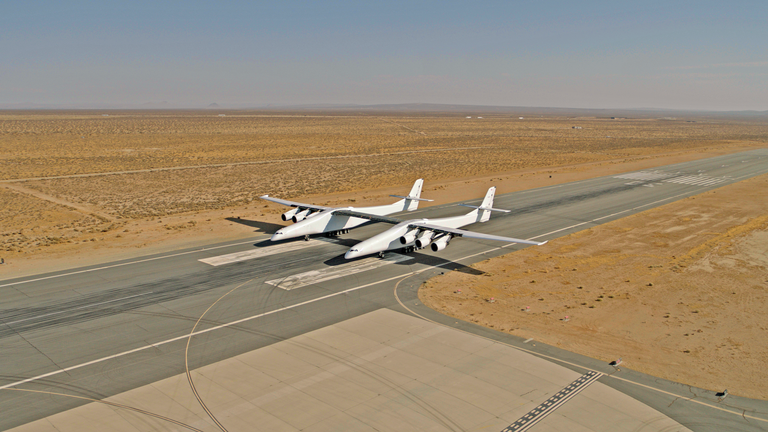 Following is a series of photos from Stratolaunch Systems showing the Stratolaunch aircraft during its first flight. 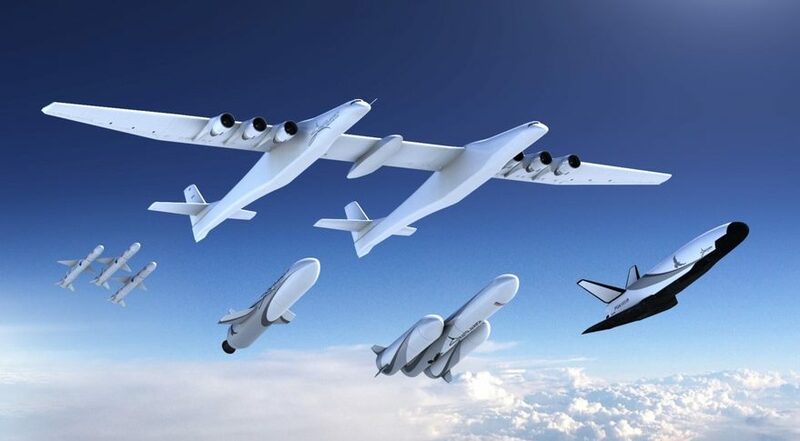 Up to three Pegasus XL launch vehicles from Northrop Grumman Innovation Systems (formerly Orbital ATK) can be carried on a single Stratolaunch flight. Each Pegasus XL is capable of placing up to 370 kg (816 lb) into a low Earth orbit (LEO, 400 km / 249 mile circular orbit). 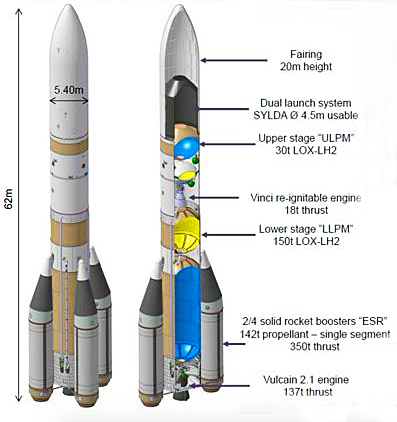 Medium Launch Vehicle (MLV) capable of placing up to 3,400 kg (7,496 lb) into LEO and intended for short satellite integration timelines, affordable launch and flexible launch profiles. 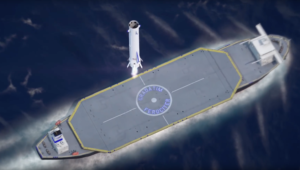 MLV was under development and first flight was planned for 2022. 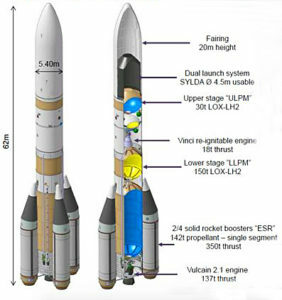 Medium Launch Vehicle – Heavy, which uses three MLV cores in its first stage. 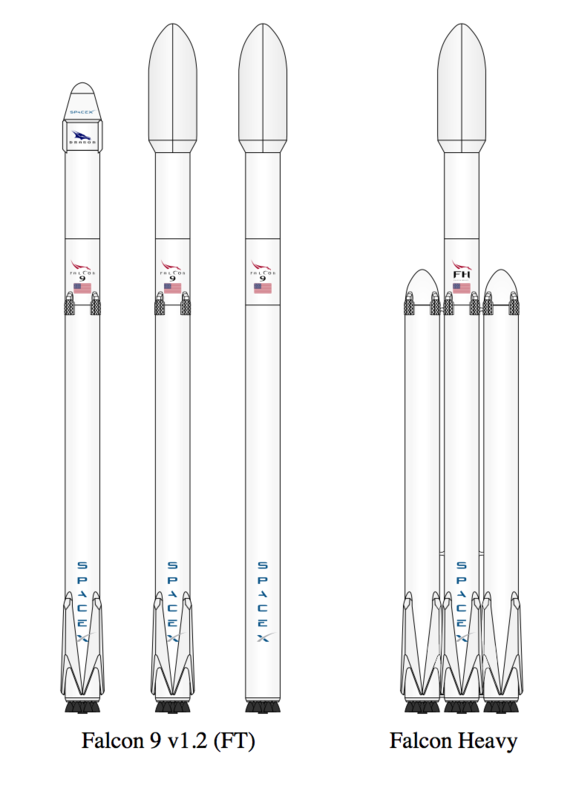 That vehicle would be able to place 6,000 kg (13,228 lb) into LEO. 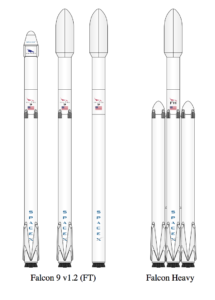 MLV-Heavy was in the early development stage. 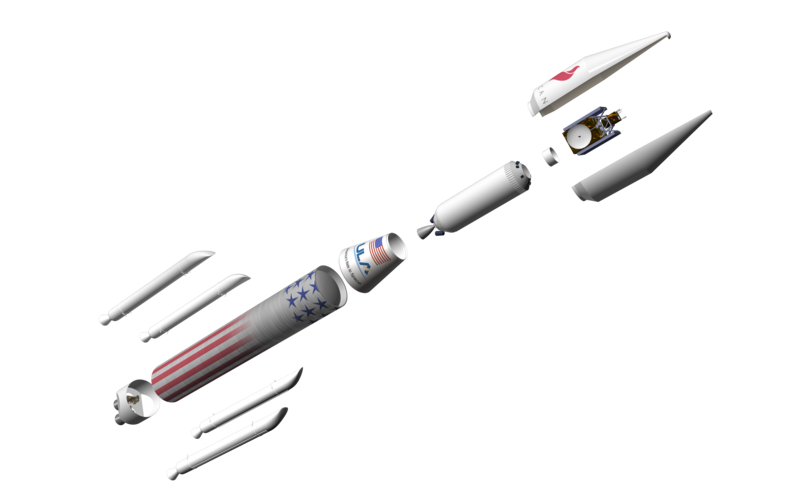 A fully reusable space plane named Black Ice, initially intended for orbital cargo delivery and return, with a possible follow-on variant for transporting astronauts to and from orbit. 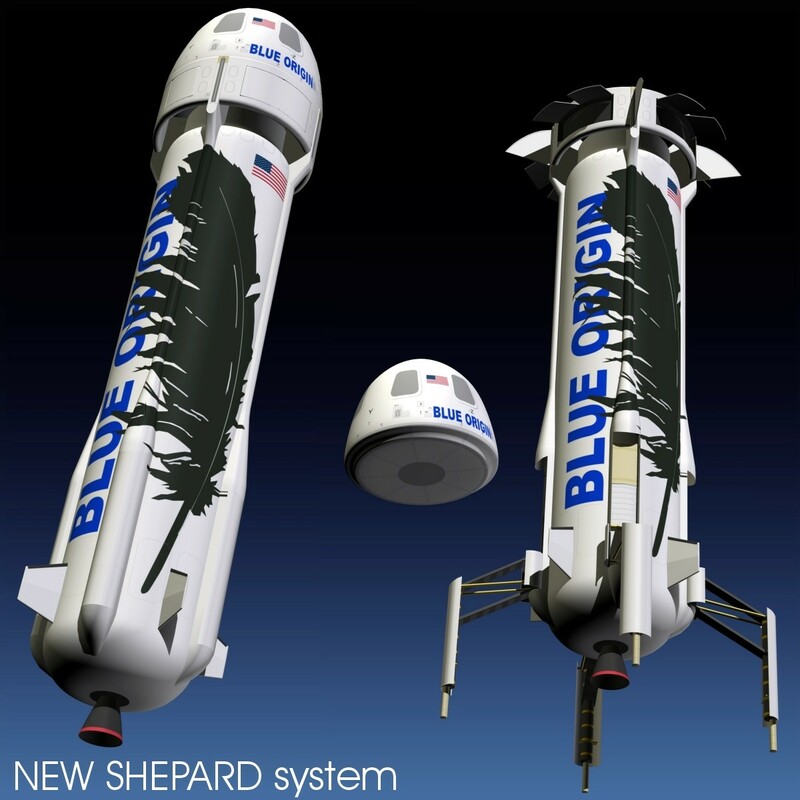 The space plane was a design study. 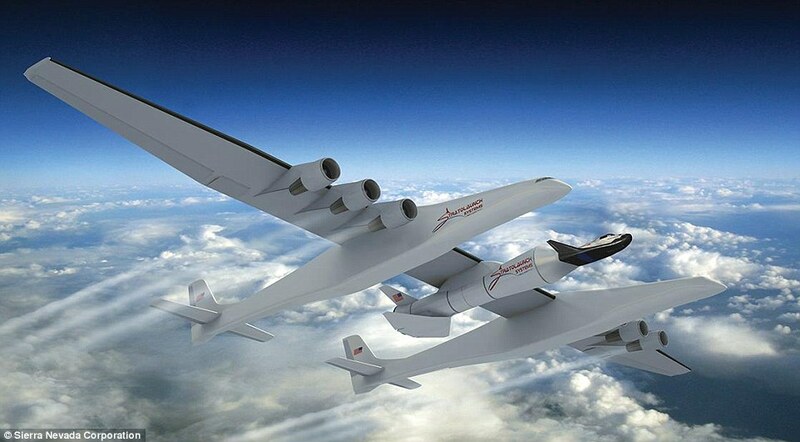 Stratolaunch was developing a 200,000 pound thrust, high-performance, liquid fuel hydrogen-oxygen rocket engine, known as the “PGA engine”, for use in their family of launch vehicles. Additive manufacturing was being widely used to enable rapid prototyping, development and manufacturing. 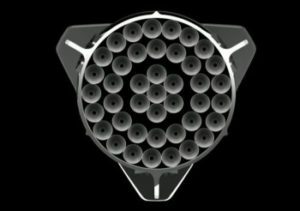 Successful tests of a 100% additive manufactured major subsystem called the hydrogen preburner were conducted in November 2018. 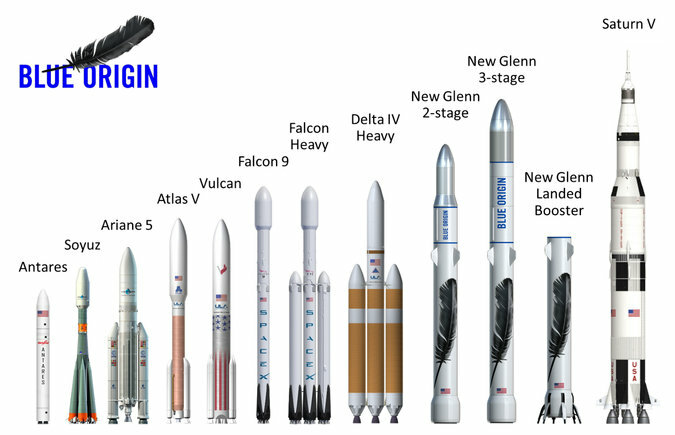 Stratolaunch Systems planned family of launch vehicles announced in August 2018. What is the future for Stratolaunch? 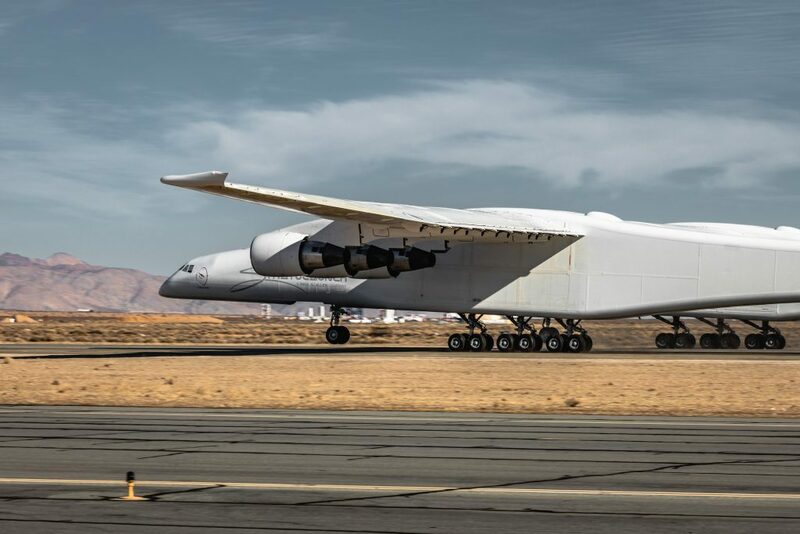 With only the Pegasus XL as a launch vehicle, and Northrop Grumman having their own Stargazer carrier aircraft for the Pegasus XL, the business case for the Stratolaunch aircraft has been greatly weakened. 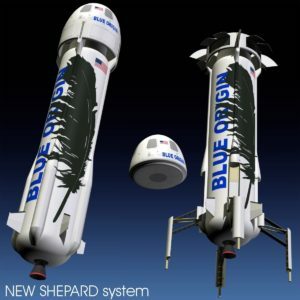 Air launch certainly offers a great deal of flexibility for launching small satellites. 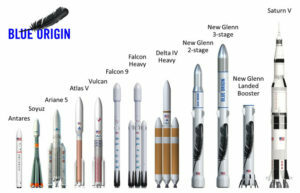 However, it appears that the newest generation of small orbital launch vehicles, like Electron (Rocket Lab, New Zealand) and Prime (Orbix, UK) will be able to offer similar launch services at lower cost. 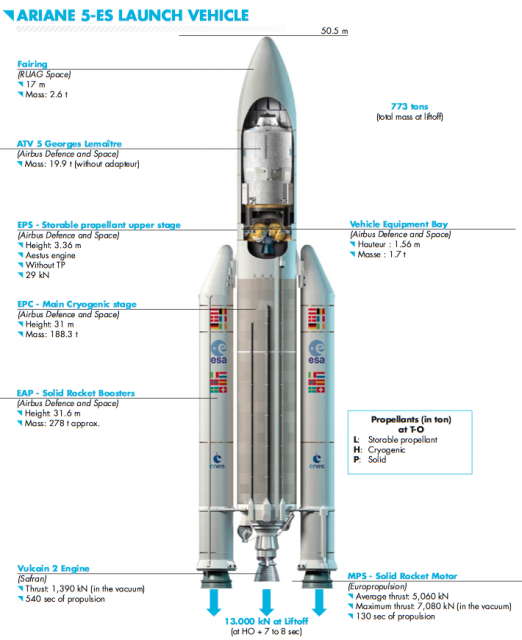 Electron is operational now, and Prime is expected to enter service in 2021. 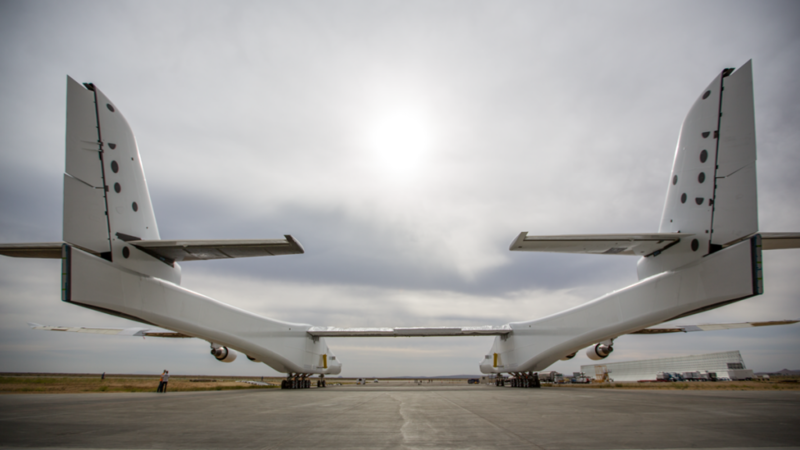 In a cost competitive launch services market, Stratolaunch does not seem to have an advantage with only the Pegasus XL in its launch vehicle inventory. 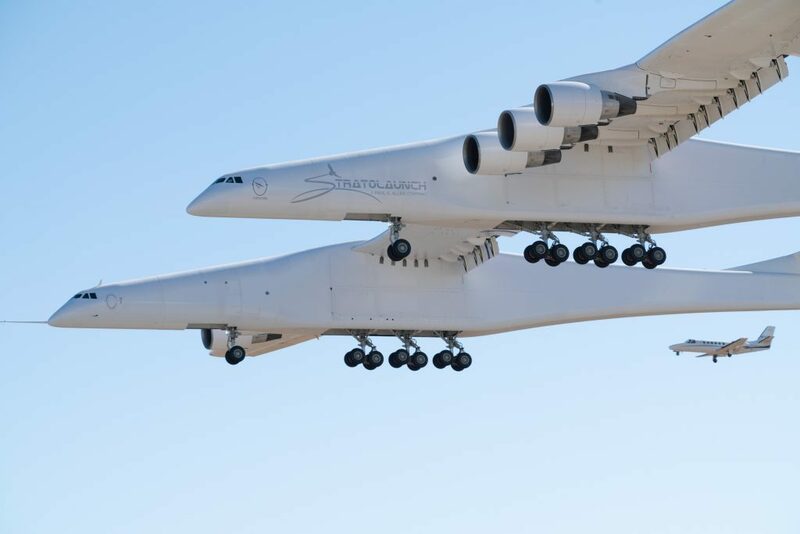 Hopefully, they have something else up their sleeve that will take advantage of the remarkable capabilities of the Stratolaunch carrier aircraft.